NEW YORK • Just a few years ago, the United States seemed poised to say farewell to nuclear energy. No company had completed a new plant in decades, and the disaster in Fukushima, Japan, in 2011 intensified public disenchantment. 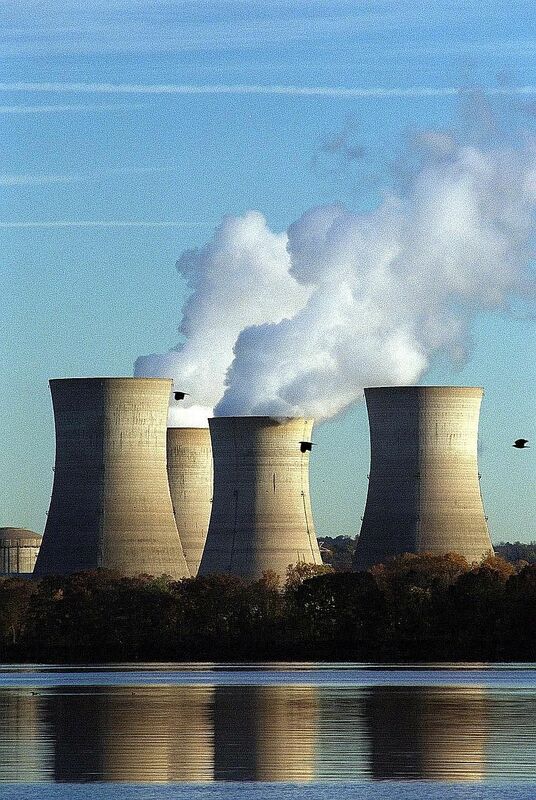 But as the Paris agreement on climate change puts pressure on the US to reduce greenhouse gas emissions, some state and federal officials have deemed nuclear energy part of the solution. They are scrambling to save existing plants that can no longer compete economically in a market flooded with cheap natural gas. "We're supposed to be adding zero-carbon sources, not subtracting," US Energy Secretary Ernest Moniz said recently at a symposium convened to explore ways to improve the nuclear industry's prospects. As a result, there are efforts to bail out nuclear plants at risk of closure. Nuclear power remains mired in long-standing questions over waste disposal, its safety record after the catastrophes at places such as Fukushima and Chernobyl, and the potential for plants to be converted into weapons factories. Despite the lingering issues, US policymakers say that at stake is the future of the country's largest source of clean energy. "Nothing else comes close," said Dr Moniz, a nuclear physicist. Renewable sources such as solar and wind have grown in popularity in recent years, but nuclear plants provide nearly 60 per cent of America's carbon-free power, followed by hydroelectric plants at about 18 per cent, according to the Energy Information Administration. We get no recognition for the fact that we emit nothing. MR MARVIN FERTEL, chief executive of the Nuclear Energy Institute, a US industry trade group. As well, nuclear plants, which can produce power steadily and on demand, run at more than 90 per cent capacity, higher than any other type of plant, including gas and coal. They also have the advantage of keeping fuel on site, which allowed them to supply electricity during the extreme cold of the polar vortex in 2014, when the use of natural gas for heating led to shortages and when some coal plants shut down because of frozen fuel or equipment. In recent years, a rise in greenhouse gas emissions has tended to follow nuclear plant closures, as they are most often replaced by natural gas, industry executives say. But the nuclear industry is facing a crisis of old age. The majority of nuclear reactors in the US are more than 30 years old. Starting in the late 1970s, under federal rules established to help reduce the price of electricity, nu- clear plants fared well because their facilities, once running, were inexpensive to operate. However, a recent slowdown in demand for electricity and a glut of natural gas from the rise in fracking have driven down wholesale prices. That lower revenue poses special challenges for nuclear plants, which operate potentially for as long as 80 years and so require costly upgrades and repairs during their lifespans. "At these prices," said Professor Jay Apt, a director of the Electricity Industry Centre at Carnegie Mellon University, "they can't save up enough to have cash on hand for periodic capital investments." Supporters of nuclear plant bailouts say the current prices undervalue nuclear power, given the plants' lack of greenhouse gas emissions and ability to operate at all hours. The low prices make it hard for the plants to compete with other clean technologies such as wind and solar, which receive subsidies and official support. "We get no recognition for the fact that we emit nothing," said Mr Marvin Fertel, chief executive of the Nuclear Energy Institute, a US industry trade group. Support for plans to save nuclear energy has come from a seemingly unlikely group - environmentalists, some of whom have come to believe that the climate benefits of nuclear energy far outweigh the risks. Mr Michael Shellenberger, president of Environmental Progress, a non-profit research and policy organisation, said that because nuclear plants produce so much more energy than other forms, they can be more environmentally friendly than even renewables when all the mining, development and land disturbances are taken into account. "Those of us who have changed our minds on it have changed most often on the climate stuff," Mr Shellenberger said, "but from the whole life-cycle analysis, it's just better." Opponents argue that further subsidising nuclear energy would take momentum and investment away from renewables. "We need to be building the 21st-century energy system and not continuing to subsidise the energy system of the past," said Mr Abraham Scarr, director of the Illinois Public Interest Research Group, a consumer advocate.